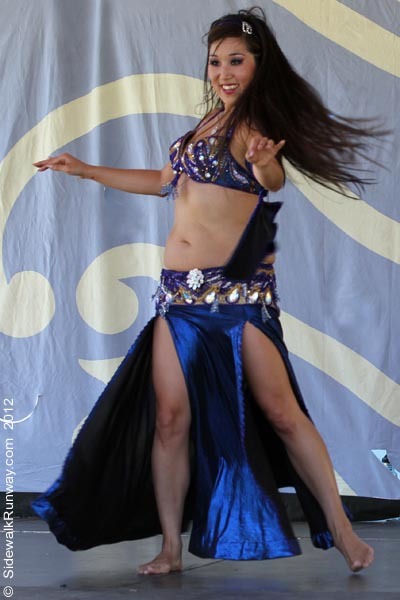 Powell Street Festival – Belly Dancing Performance — If the sidewalk was a runway, what would you wear? The Powell Street Festival is an annual event and it was my third year attending. Sunday was fairly warm but that didn’t stop Negma (bottom left) and Maki (bottom right) and from putting on an entertaining show. I really liked Negma’s finger cymbal routine. She stood motionless except for when she shook her hips and used her finger cymbals to mimic the beat of the music.